Eddie White Custom Damascus Dagger Spalted Maple. This is ONE SWEET KNIFE! 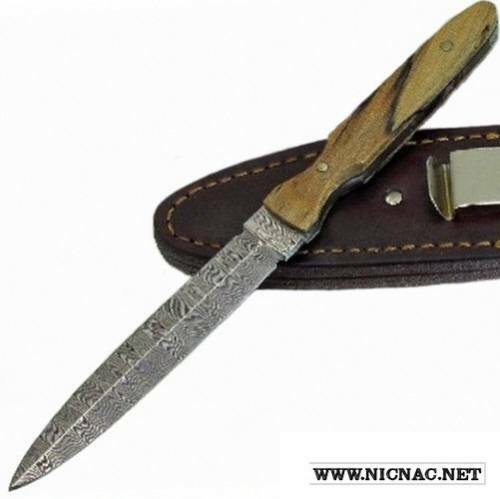 A beautiful ladder pattern carbon damascus this one of a kind 8 1/2" dagger has a 4 1/2" blade and weighs 3 ounces. Comes with its own sheath and belt/pocket clip. Don't let this one get away!